Cassandra Menard had no intentions of going to college or graduating from college. She didn’t even show up to receive her diploma from high school. To pacify her mother’s disappointment with that decision, she told her she would be able to attend her college graduation—a promise that was easy to make at that time though she knew college wasn’t in her plans. Why was she so opposed to higher education? College would simply be “too much work.” She had convinced herself that she just would not be able to cut it at any college. When she finally lost the wrestling match with God, though doubting that she’d even be accepted, the Brooklyn resident applied for admission and enrolled at Nyack College on the New York City campus. But even her surrender to what only God saw in her future didn’t prevent the frequent fear-filled melt-downs or diminish her self-doubt. At Nyack, there were people God placed in her path—an earthly cheering squad of witnesses—who would encourage her and pray her through every emotionally tough semester or every difficult paper or exam. 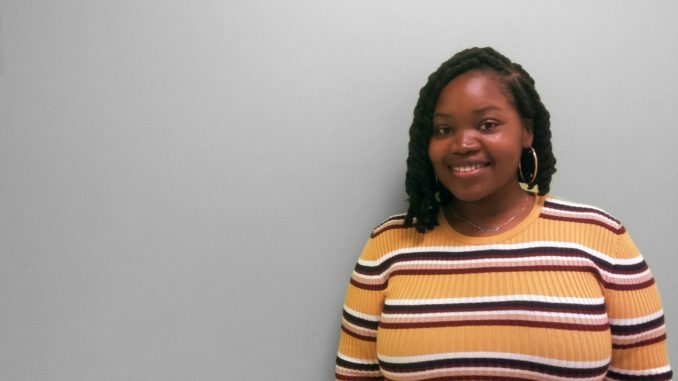 In addition to her academic pursuits, the biblical and theological studies major is a member of Nyack’s Gospel Choir and performed at the recent Lincoln Center concert. Over the past four years, Cassandra has also been published several times in The Fine Print, Nyack’s journal of literature and fine arts. She has participated in the Acts Prayer Ministry, the Living Waters Dance Ministry and the Living Word Worship Ministry. Not only has Cassandra achieved beyond what she could think or imagine, next month she’ll cross the stage to receive her degree from President Scales as a Class of 2019 valedictorian with a 4.0 GPA, a distinction she shares with Ben Tse.